Over the weekend, I posted on Instagram about using my ‘Stitch Along Fly Front Guides’ by Dritz. I think I bought mine in college. I didn’t realize they’d gone out of production until I did a search for them online. I’m too lazy to type out how they work. Luckily, Debbie Cooke has a great explanation here. Imagine my jealousy when Lisa told me there was a straight stitch version of them too! Well, thanks to The Gooogle, I did find one set of the fly front guides for sale, pre owned. And, as much as I like to hoard, I REALLY like notions and want everyone as obsessed with them as me. I wish someone more creative and organized than me would put together a Notions November photohop on Instagram. I’d love to see all the fun and interesting notions that are out there. I have a bunch that I keep saying I’m going to post about and then just don’t. Anywho, I have an extra set of these coming my way and I’d love to give them away. I’d offer them to Trena, but she’s made like two fly fronts in 20 years of sewing. Giveaway good outside of the US because, I like to travel and these are only a few ounces. To enter: post a photo link to a fly front you’ve sewn. Link can be anywhere the photo is hosted. Instagram, Twitter, Flickr, Photobucket, etc. Entries welcome until Friday, August 28th. Random number generator, blah, blah, blah. For anyone who loves this idea but doesn’t win one: I cut a template out of thick paper based on the fly shape of my pattern, and use double-sided tape to hold it temporarily to the fabric. Then I just stitch very slowly right along the edge. You could also draw around it with chalk and then sew. It’s amazing how much it helps to have that smooth line to follow! I have a set. They are great. But it tells you how long I’ve been sewing! Oh, boo hoo. I did a fly front on some skirts but don’t have an internet presence. Can I send you a photo or attach one to a comment? Relatedly, just tonight I abandoned topstiching a fake fly front because it was a pain transferring that line, and it was just for show any way. Surely, with all the hard plastic rulers that are manufactured in odd shapes for rotary-cutting quilt pieces, a vendor will decide to re-issue these devices! I’ve never used one, but then I trust my topstitching skills, and eyeball pretty much everything like fly fronts and edge stitching. It’s a Celtic personality trait (use what you’ve got, to improvise what you need) rather than a Teutonic personality trait (diligently plan for, and then work methodically to achieve the desired end . Some of us are good improvisers, some of us are good planners — humanity needs both sorts. 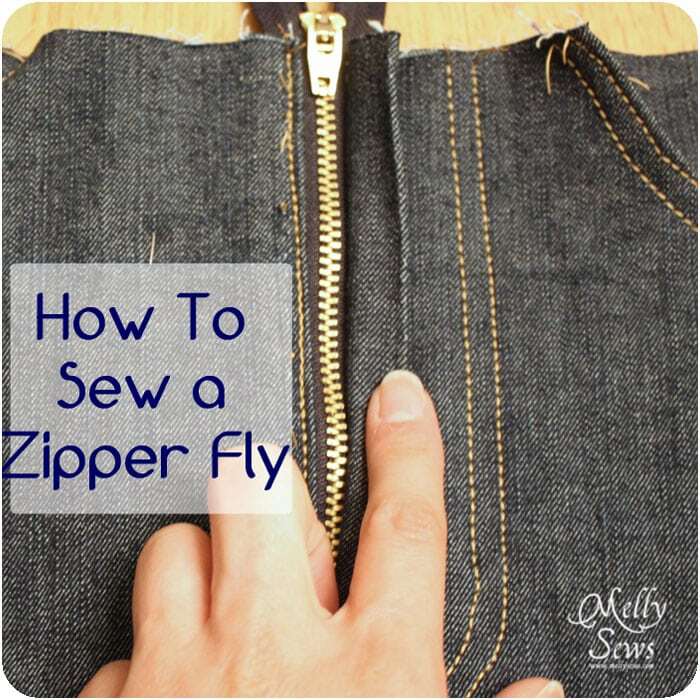 Just thought I’d throw this tip out there for those who don’t win your generous giveaway … when you buy a zipper in a package at, i.e., Joann’s, the package opens up to BE a template, curve and all. I also want all the notions. I didn’t know these existed and have been using a template I made myself from oaktag — pfffftttt! btw I haven’t posted in ages because now that I’ve been catching up with blogs via feedly, it’s just harder work to join conversations. But still loving the blog – I was in Montreal this year too and just swooned over all the fabric stores. the new blog look is terrific! Oops… i.e. I love the look of the two tone jeans. http://mellysews.com/wp-content/uploads/2011/09/zipperfly.jpg Great product. Thanks for offering. oops, I’ve done this type, but obviously not this actual one.